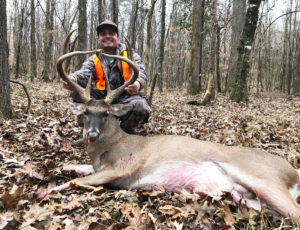 Daniel Dorner killed this wrap-around rack buck in Claiborne County on Dec. 26. 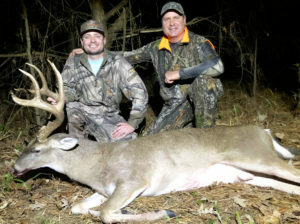 It scores over 163 inches gross Boone & Crockett. 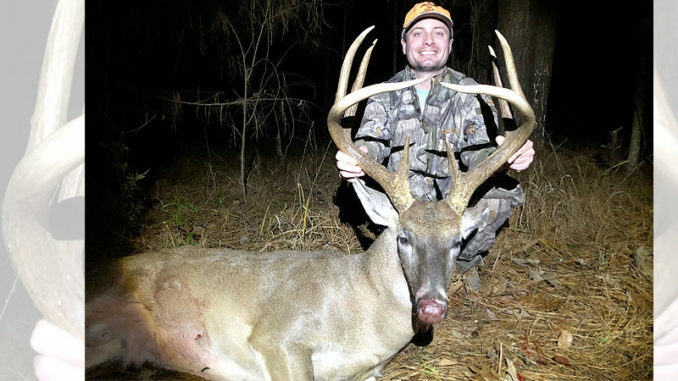 That Daniel Dorner was reading the book “The God of Second Chances” by Steve Arterburn while deer hunting on the day after Christmas was more than just a little coincidental. Truth be told, it was actually a third chance. Dorner didn’t really want to hunt that day, which was rather warm and dreary. “It was like 58 degrees that morning with a high of about 68 or 70 degrees,” he said. 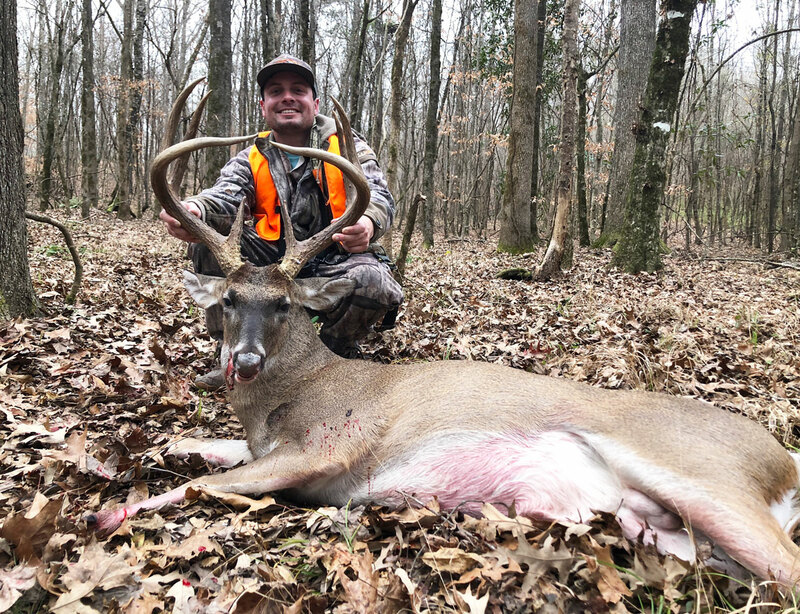 “I didn’t plan to hunt; I just went to camp to help my dad get the place ready for the whole family to come to camp that week. I had to work in New Orleans on the 27th, so I just went up there Christmas night to help on the 26th. Day up, and day back. Dorner said he was settled in the stand by 2:30 and immediately made a few calls. 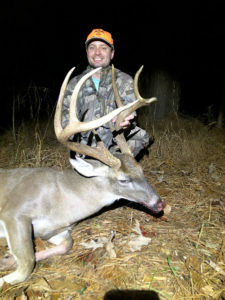 Dorner was 20 feet up in a lock-on ladder stand, which he put up in the area in November, around Thanksgiving, after getting pictures of this odd buck on a trail camera. “He’s got that unique identifying characteristic of main beams that almost touch tips,” he said. “We had a picture of him last year and he was about the same size then. This year, I got a picture of him on a trail in early November at 6:30 p.m. before the time changed. Then we got more pics of him on feeders further away. I figured out that this area was his bedding area and it was very thick. Then I found a rub, one of the biggest I’ve ever seen, and I knew it had to be him because of the way it was gouged into the tree with those close tips. On Dec. 26, no other deer had come through the area. 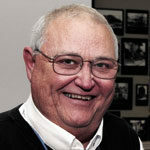 “He was the only one I saw and he came through running with his nose to the ground,” Dorner said. “He wasn’t running a doe but he sure was looking (for a hot one). When I first saw him he was about 80 yards and was coming from my right. I dropped the book because I couldn’t get it in the bag. When he went behind some trees, I was able to get up and get situated. “I looked for shooting lanes and picked a spot that I could shoot, but didn’t know which way he was going to go. I was shooting free-handed, and when I got the shot, I missed. I don’t know if I hit a limb or what or if I hit him. He ran a little bit and stopped again. I shot a second shot. The main-frame 8-point with two stickers off the back measures 163 7/8 inches gross Boone & Crockett. The main beams are incredible. 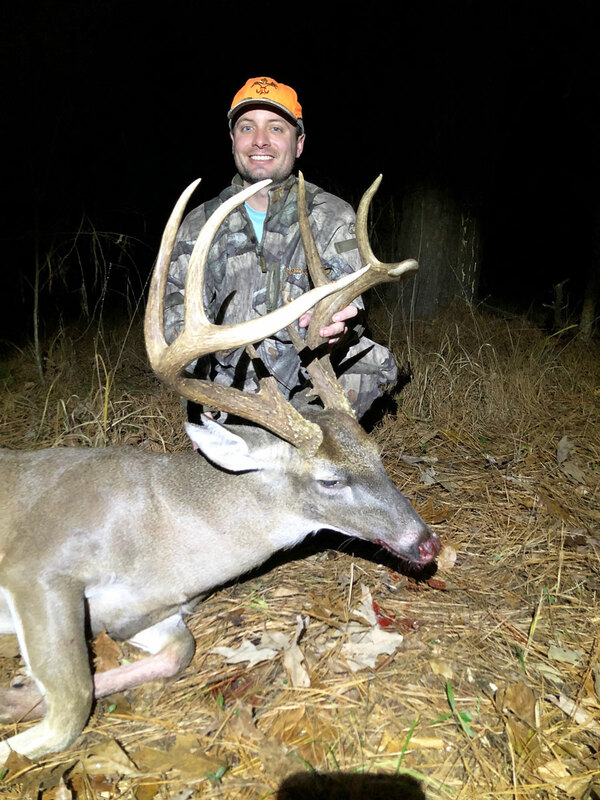 Another feature of this old, mature trophy buck was the mass. Dorner shoots a .270 but is considering moving up to a heavier caliber.